I just had soup for breakfast. I know. Because this soup recipe I am sharing with you today is that good. Plus, I needed pics for this post, so why not eat the soup too? I love this season of cooking. Fall, early winter, late winter, and early spring. It is the season of soups. Big buckets of delicious soup. Steaming bowls of delicious soup. Accompanied by salads, or rolls, or sandwiches. My favorite soups are rather thick and chunky. No perfectly pureed-ness for this girl. Which is why I really am not a fan of tomato soup out of a can. Not even Campbells. 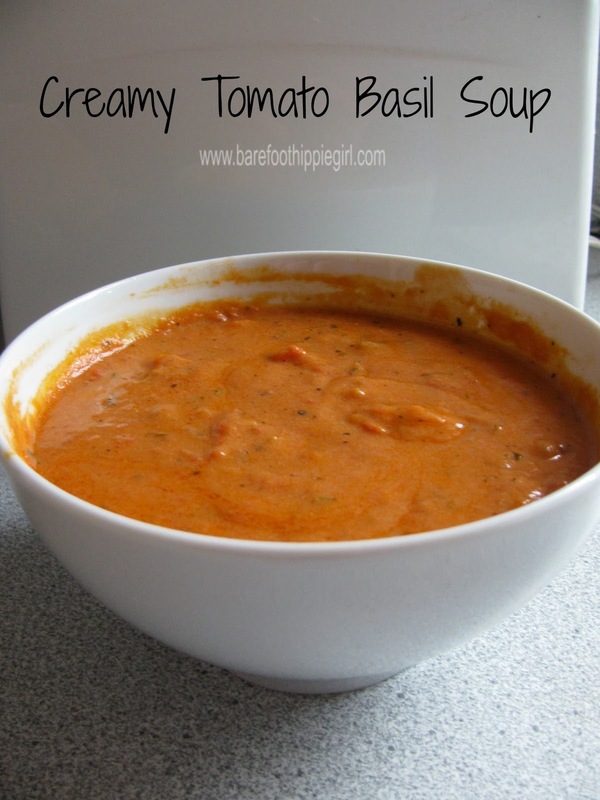 But I am loving Panera Bread's tomato soup. There is nothing smooth about that crazy good stuff! 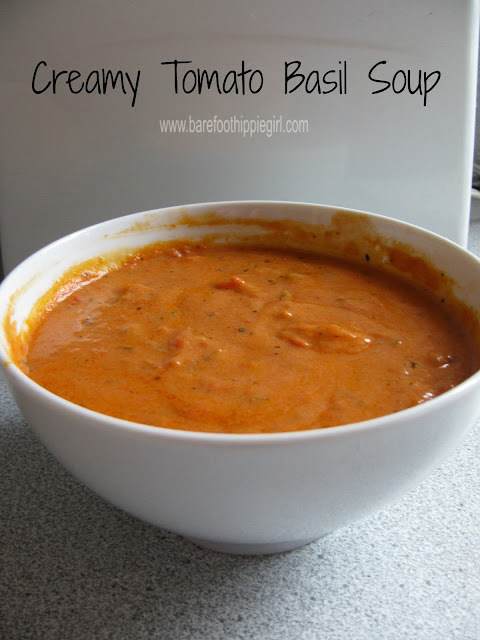 No matter how much I love PB's tomato soup, I really can't afford (financially or otherwise) to eat it as much as I would like to. 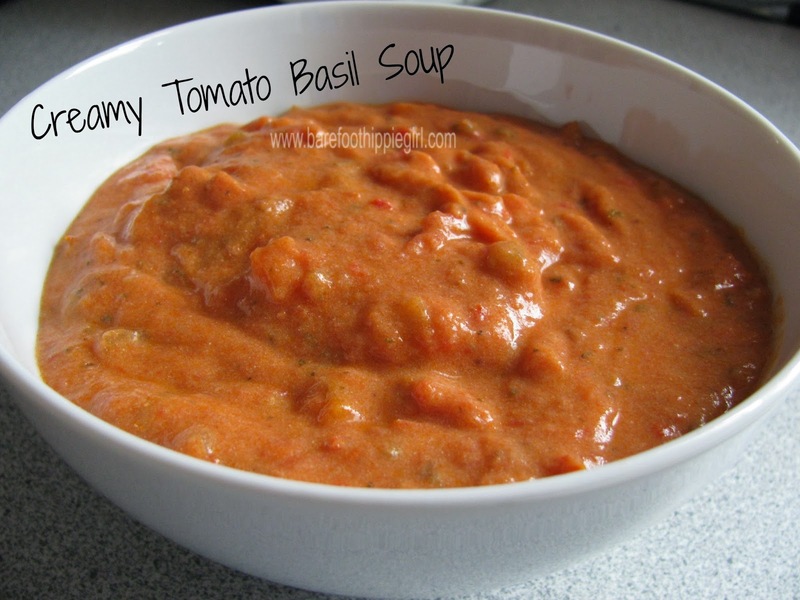 So, I got it into my head to start searching for tomato soup recipes. -Heat the oil in a 4 quart soup pot. Add celery, onion and carrots. Saute' 5 minutes. Add basil, oregano, bay leaf, tomatoes and chicken broth. Bring to a boil, reduce heat and simmer until carrots are tender, about 25-30 minutes. -While the soup simmers, prepare a roux. Melt butter over low heat, add flour and cook, stirring constantly, 5-7 minutes. Slowly stir in a cup of hot soup. Add another 3 cups and stir until smooth. Add back into the soup pot. -Warm the half and half. -Simmer, stirring constantly, until the soup begins to thicken. Add the parmesan cheese and whisk to blend. Stir in the half and half, and add salt and pepper to taste. Simmer over low heat for 15-20 minutes, stirring occasionally. Now, let me tell you, grilled cheese sandwiches are always a great accompaniment to tomato soup. They go together like a horse and carriage, or love and marriage. Layer your turkey on good homemade (or not) bread slices generously slathered with the chipotle mayo. Add a slice or two of cheddar cheese, and sink your teeth into that amazingness. 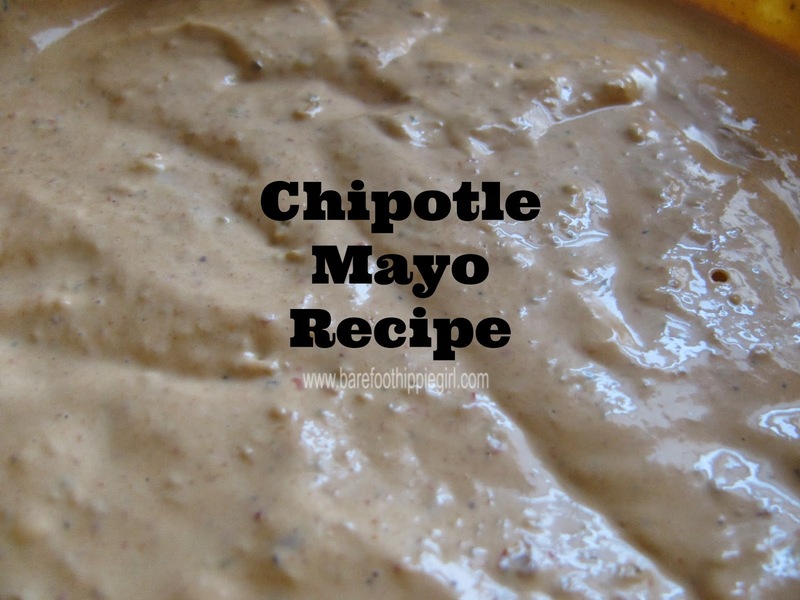 -In a blender, place the mayo, lime juice, dried oregano, garlic and chipotle peppers (with their sauce). Blend until smooth. Add more lime juice or peppers according to your flavor/spicy preference. The mayo should be a pretty orange color with little green specks. What is your favorite soup and sandwich combination?